Below is a recap of week 3 portable stationary bike arm and leg workouts. We are hoping that you are discovering routines, places, and different positions that you like. As we enter the 4th week of January and start to approach February, it’s a good time to revisit you New Year’s Resolutions goals. After all, approximately 80 percent of people say they officially fail in keeping their resolutions by the second week of February. So, it’s a good date to have in mind to keep pushing towards your goals! This is a great position for all, but especially for those with limited mobility (also works from a wheelchair position). First, we started on the floor with a small pelvis tilt and then the level of difficulty went up…lying on your back and cycling (bridge or no bridge is a great workout). The bridge really places the emphasis on your core and glutes. Then, turned it around and did some plank exercises. 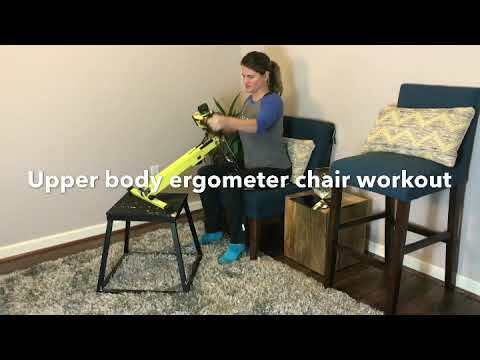 In this workout, we focused on using Excy as a recumbent bike with arm movement workout. This is a great one for exercising while watching TV! 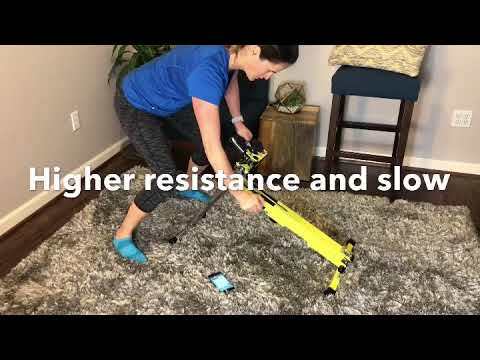 We broke it up into three 7-minute workouts (all three using the “Ultimate Arm & Leg Toning” interval workout in the Excy Mobile Coaching app)! Today’s position focused on upper body ergometer floor exercises for cardio and strength training. We finished the week with a workout that included chair cycling, bridge chair cycling, and chair cycling dips. This workout started light, but then ramped up in intensity exercise cycling for glutes with the bridge cycling position. We also had a special guest. Richelle has been battling MS for 9 years. She struggles with spasticity in her legs and back, sometimes causing debilitating pain. She gave us a snapshot of her favorite Excy positions. She used to exercise religiously and was a fitness enthusiast, but now fitness is hard and she hasn’t exercised in about 18 months. Often times, people who were athletic struggle with therapeutic exercise vs. their desire to train for competition. She feels like everything has turned to “skinny fat” and has “extreme muscle weakness.” Like many invisible illnesses, it often looks like everything is fine, but some days just getting out of bed feels impossible. We look forward to sharing her journey! Here’s our first live cycling workout with Richelle who is working on exercising more with MS.